Now this some serious good listening. Could you pick a more chill, yet super cool collabo? I think not. 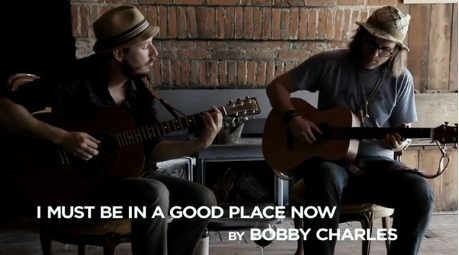 Check out the beautiful video of Andy Cabic of Vetiver and Eric Johnson of Fruit Bats performing the Bobby Charles tune “I Must Be In a Good Place Now.” The two recorded the song in a 100-year-old cabin at the Gundlach Bundschu winery. Thanks to Yours Truly and High/Low Film at the Huichica Festival in Sonoma, CA for delivering these sweet goods. Vetiver & Fruit Bats from Yours Truly on Vimeo. 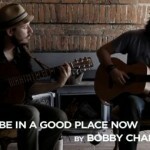 This entry was posted in Videos and tagged Andy Cabic of Vetiver and Eric Johnson of Fruit Bats, cool music videos, Video: Andy Cabic of Vetiver and Eric Johnson of Fruit Bats Performing “I Must Be In a Good Place Now” on July 14, 2010 by Sandra Burciaga Olinger.